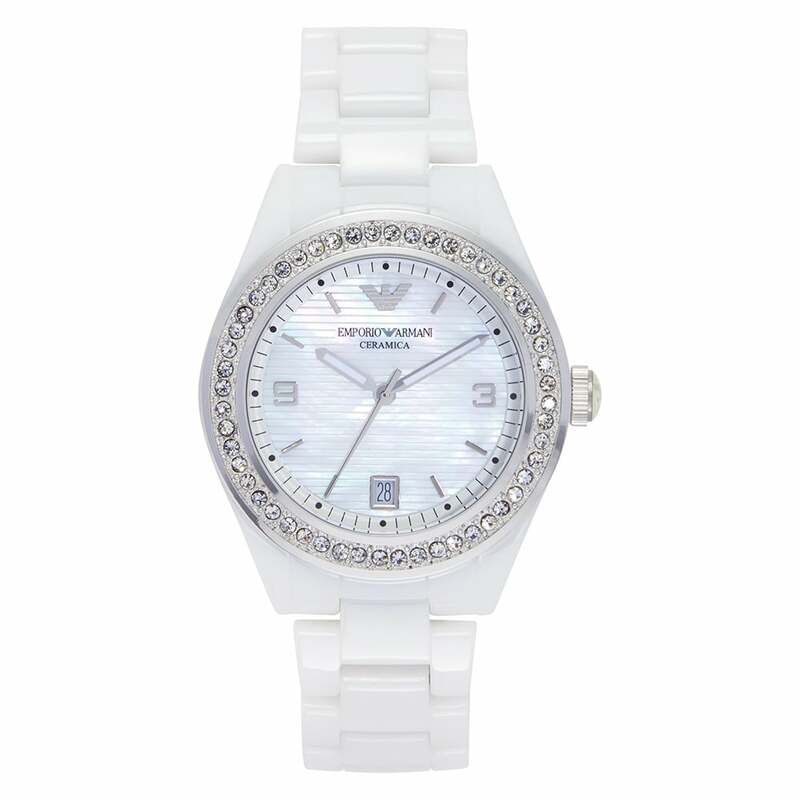 Emporio Armani Ladies White Ceramic Watch AR1426. The Emporio Armani ladies ceramic white watch AR1426 is a beautiful timepiece from the women’s Emporio Armani Ceramica Collection. This watch features a desirable white ceramic strap, date display, mother-of-pearl dial and water resistance up to 50 metres. The ladies Armani AR1426 watch boasts stylish quality and attention to detail. This ladies AR1426 Armani watch comes with a two year Tic Watches warranty.